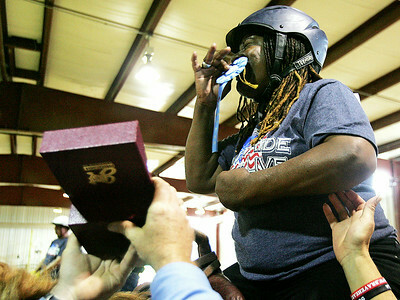 H. Rick Bamman - hbamman@shawmedia.com Army veteran Octavia Mitchell is awarded a belt buckle and kisses her blue ribbon as she reacts to winning first place in her division during the 5th Annual BraveHearts Heroes on Horseback horse show at the Bergmann Center in Poplar Grove on Monday, June 21, 2014. 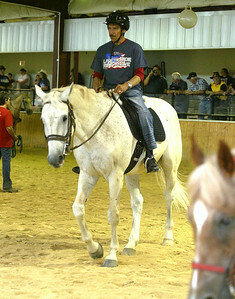 H. Rick Bamman - hbamman@shawmedia.com BraveHearts staff members from left Jessica Linquist, Paddy McKevitt, and Sarah Newland watch Marine veteran Nick Montijo perform in the arena during the 5th Annual BraveHearts Heroes on Horseback horse show at the Bergmann Center in Poplar Grove on Monday, June 21, 2014. 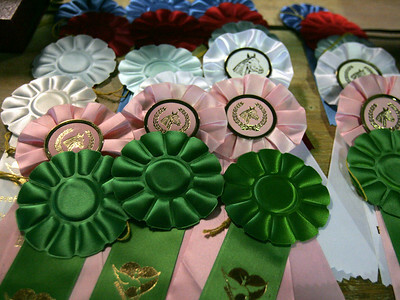 H. Rick Bamman - hbamman@shawmedia.com Awards for participants at the 5th Annual BraveHearts Heroes on Horseback horse show. 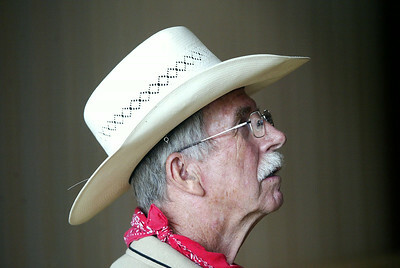 H. Rick Bamman - hbamman@shawmedia.com BraveHearts volunteer Sig Greiner watches riders druing the 5th Annual BraveHearts Heroes on Horseback horse show. 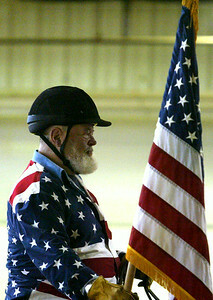 H. Rick Bamman - hbamman@shawmedia.com Air Force veteran Ljdo Corderon performas in the arena at the Annual BraveHearts Heroes on Horseback horse show.